This article appeared in the Summer 2007 issue of Texoma Living!. Not all ice cream is created equal. 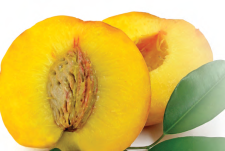 For store bought varieties there are two industry standards. The first factor is the level of butterfat in the mix. Legally, the FDA calls it ice cream if it has at least 10% butterfat. Premium ice cream has 12% butterfat, and super-premium is 14%. The second industry benchmark is the amount of air in the final product. All ice cream has air—that’s what helps give it that indescribable creaminess and mouth feel. Too much air makes a fluffy (and cheap) product. Added ingredients also count towards perfection. Some ice creams contain whey or whey powder in place of milk solids. Whey is cheaper and it tastes like it. Pure vanilla is extracted from whole vanilla beans, primarily from Madagascar, and it’s very expensive. Some ice cream is made with artificial flavors called imitation vanilla flavor or vanillin. Imitation vanilla is made from a byproduct of the paper or petrochemical industry, and vanillin is made from a coal tar derivative. Hungry yet? Clearly, making your own allows you to control the ingredients and to have fun at the same time. The food engineering staff of Texoma Living! 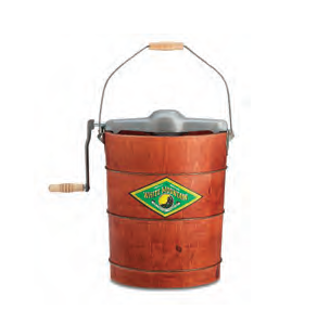 presents both the recipes and the apparatus for flawless homemade ice cream. The rest is up to you and the kids. Crank or electric, this is the best available of the “old fashioned” ice cream makers. The White Mountain Ice Cream Freezer is the standard when it comes to hand cranking ice cream making. Available online at whitemountain-outlet.com, which is neither owned by White Mountain or their outlet. But, these folks do a big business selling both the hand crankand a motorized version for the international manufacturing giant, Rival Co. Manual version $135; electric $190, both plus shipping.” Cuisinart has a ice cream maker for every budget, from it’s powerful and fast Supreme™ Commercial Quality Ice Cream Maker ($299) to a countertop version for under $50.00. The Supreme can crank out 1 and 1/2 quarts of fresh ice cream, fruit sorbet, frozen yogurt or frozen drink in just minutes. The secret is its built-in compressor that makes batch after batch with little or no downtime. (MSRP $299) at most department andbig box stores. ¨ Next in line is the more stylish Pure Indulgence™ 2 Qt. Frozen Yogurt-Sorbet & Ice Cream Maker (MSRP $79.95) that promises freezer bowl to table in as little as 25 minutes. Combine the peaches with 1/4 cup of sugar and chill. Combine 1 cup of sugar with the cornstarch and salt. Blend the milk in gradually. Microwave on high (100%) for about 8 minutes or until thick, stirring two to three times. Slowly whisk the hot milk mixture into the beaten eggs. Microwave, on high (100%), about two minutes or until thick and creamy. Chill thoroughly. Add the vanilla and cream to the mixture. Stir in the peaches. Freeze in an ice cream maker (in batches if necessary) following the manufacturer’s directions. Makes about 1 1/2 to 2 quarts. Whisk egg yolks with sugar and salt in large bowl; set aside. Split vanilla bean lengthwise and scrape out seeds. Combine beans, seeds, half and half and heavy cream in a large saucepan. Bring just to a simmer. Gradually whisk hot cream into the egg yolk mixture. Return the mixture to the saucepan and cook over medium heat, stirring constantly, until mixture thickens and coats the back of a spoon (do not let it boil). Strain through sieve into large bowl. Refrigerate until thoroughly chilled. Freeze in ice maker according to manufacturer’s directions. Bring the heavy cream to a simmer in a heavy-bottom saucepan over medium heat. Whisk together maple syrup, cornstarch, and egg yolks. Pour about 1/3 of the hot cream into the syrup mixture, then pour the syrup mixture into the remaining cream in the saucepan. Heat over medium low heat, stirring constantly, until hot and thickened slightly. Do not let boil. Strain into a large mixing bowl. Cool the mixture; whisk in milk and vanilla. Chill thoroughly then freeze in your ice cream machine. Add pecans near the end of freezing time. In a 2-quart saucepan, heat chocolate, sugar, milk, cream and vanilla until chocolate is melted. Cool. Pour the mixture into a blender and process until smooth. Add chocolate chips (or chunks of your favorite chocolate bar) and blend until chips are broken up. 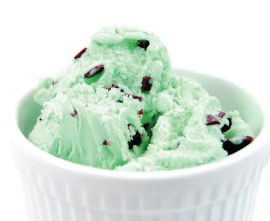 Pour into prepared ice cream maker and freeze according to manufacturer’s directions. Just before done, add chopped nuts or marshmallows. On Thursday, February 7, a fire at the Imperial Sugar Company near Savannah, GA sent dozens of workers to the hospital, eight lost their lives. The Port Wentworth, GA plant is one of the largest in the U.S. and refines sugar products marketed under the brands Imperial, Dixie Crystals and Holly. Toddling off to bed was an important part of the simple life, as one usually got up before dawn to start a fire and haul water from the crick for the morning latte. Bed is also important for filling the otherwise endless space between dusk and dawn when nothing much is going on anyway, and you couldn’t see it if it was, what with burning brands not giving off all that much illumination. All too often the holiday season can be completely overwhelming— gifts to buy and wrap, cards to mail, meals to prepare, parties to plan. With so much to do, there is little time left for anything else. As daunting a task as it may seem, holiday decorating does not have to contribute to the stress level.